Choose your champion! Brawl is a little like Standard, a little like Commander, and a uniquely exciting deck-brewing challenge. Build a deck around a specific legendary creature or planeswalker from the Standard card pool, and battle against friends in one-on-one or multiplayer free-for-all games. 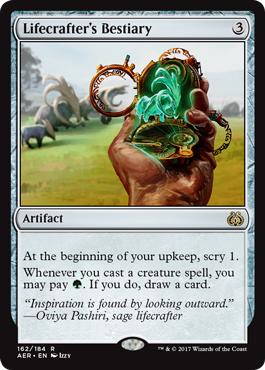 The color identity of all cards in your deck must fall within the color identity of your commander (color identity encompasses colored mana symbols in both the card's cost and its rules text—for example, Shalai, Voice of Plenty's color identity is green-white). Exception: if your commander is colorless, you can play unlimited copies of any one type of basic land. 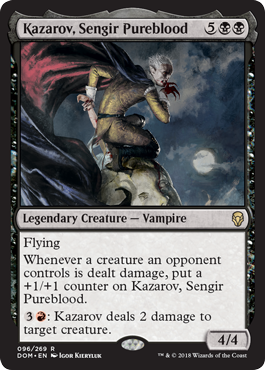 Kazarov, Sengir Pureblood has a black mana cost and an activated ability that requires red mana. Kazarov, Sengir Pureblood's color identity is black and red. Lifecrafter's Bestiary is a colorless artifact with a triggered ability that requires green mana. So Lifecrafter's Bestiary's color identity is green. This is the special game zone where your commander resides when it is not in play. Each commander starts the game face up in its controller's command zone. A commander can be cast from the command zone, as though it were in your hand, for its normal costs, plus an additional two mana for each previous time it's been cast from the command zone this game. If your commander would change zones (i.e., be put into your library, hand, graveyard, or exile from anywhere), you may return it to your command zone instead. Any card that appears in a Standard-legal Magic set (with the exception of the banned cards listed below) can be put into a Brawl deck. Note: The regular Standard banned list does not apply to Brawl. If a card from a Standard-legal set isn't listed here, it's fine to use.